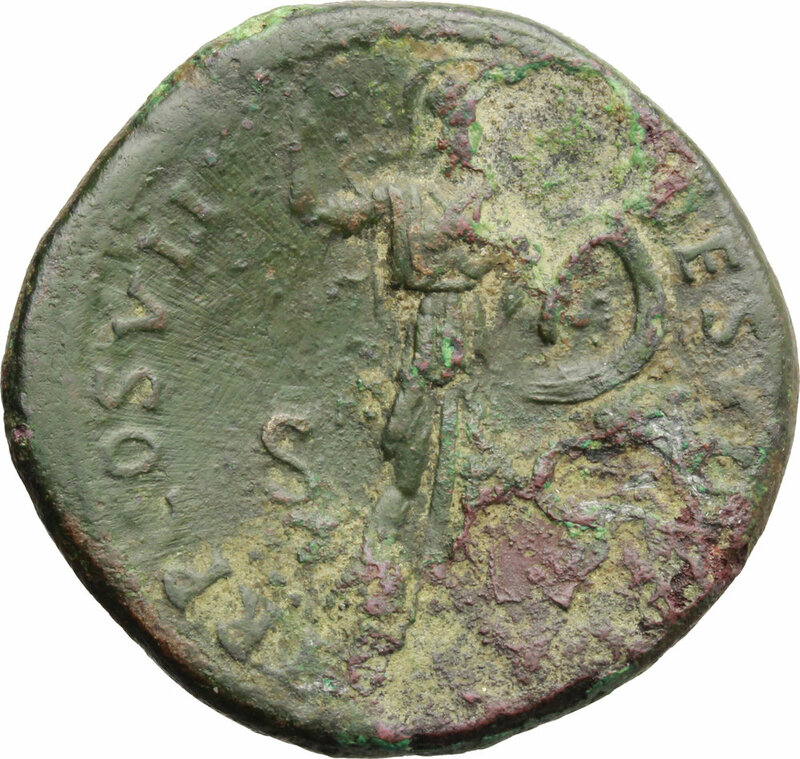 Domitian (81-96). 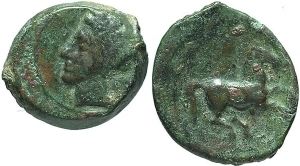 AE Sestertius, 81 AD. Obv. 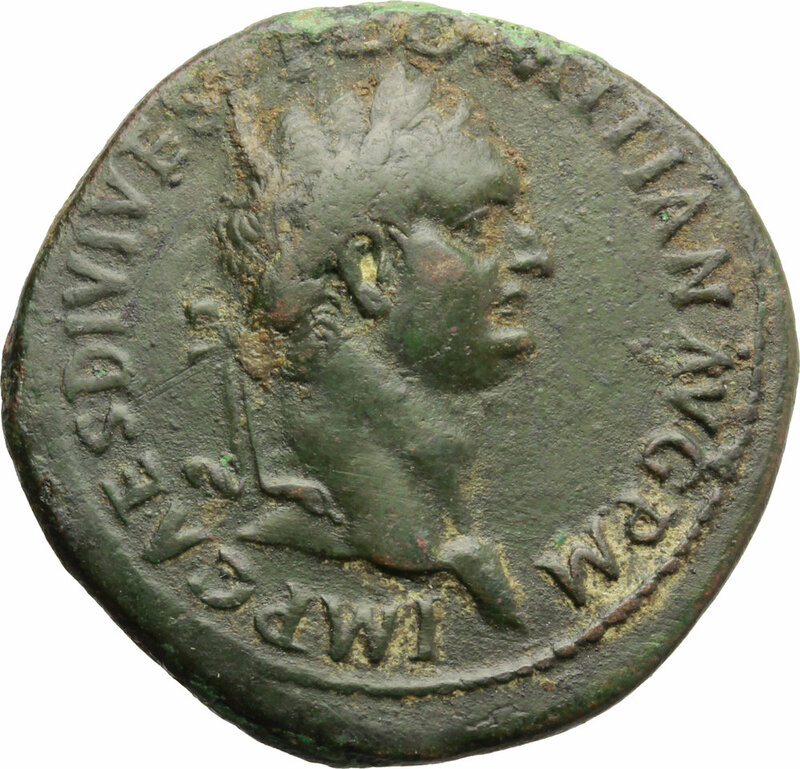 IMP CAES DIVI VESP DOMITIAN AVG PM. Laureate head right. Rev. TR COS VII DES VIII PP SC. Minerva advancing right, brandishing javelin and holding round shield. 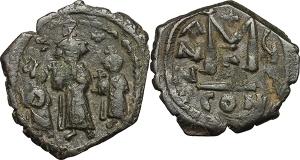 RIC 232. AE. g. 23.12 mm. 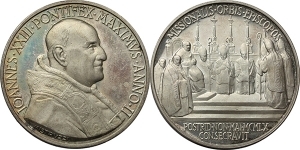 35.00 Corrosions on the reverse VF/F.